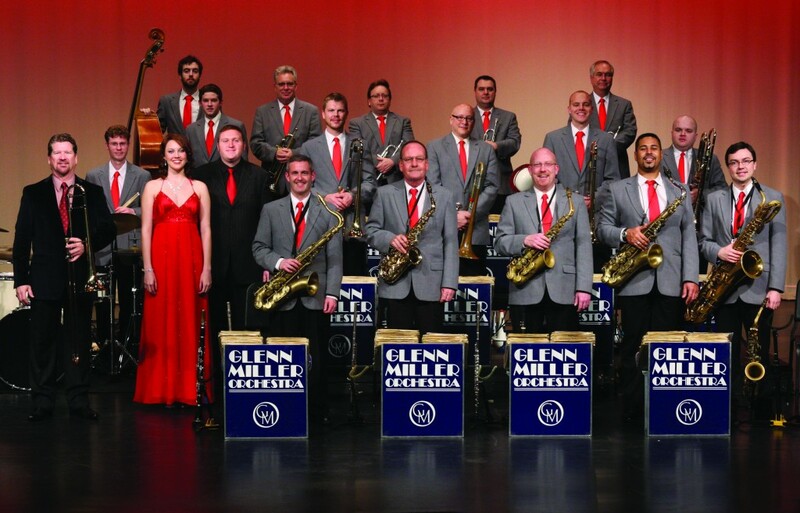 The Glenn Miller Orchestra has always been very musical, disciplined, and visually entertaining. And it has its own distinctive “sound.” That sound is created by the clarinet holding the melodic line, doubled or coupled with the tenor sax playing the same notes; and the harmonies produced by three other saxophones, while growling trombones and wailing trumpets add their oo-ahs. 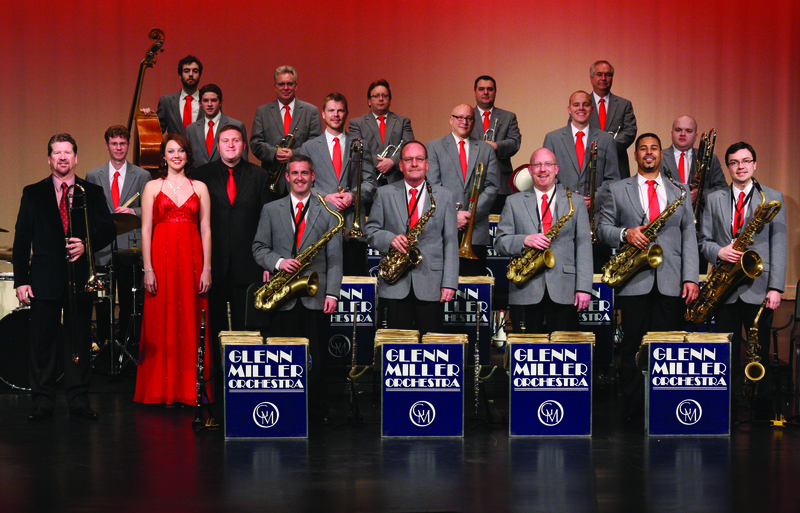 Glenn Miller and His Orchestra made a big impact right before and during the war. It had more hit records in one year than anybody in the history of the recording industry. In fact, its recording of “Chattanooga Choo-Choo” earned the first Gold Record ever awarded to a performing artist. Back in the days of the big band era of the forties, any dance band “worth its salt” had a distinctive theme song. It was the musical signature with which they signed on and signed off at their engagements and radio broadcasts. The theme of Glenn Miller and His Orchestra was the beautiful “Moonlight Serenade”, and it is still the signature tune of the Glenn Miller Orchestra today. Tags: Boylesque, burlesque, Documentaries, film, Glen Miller, music, Thin Lizzy.